Best Agent Business – Business Assistants for Top Agents. We help top agents focus on their unique talents and delegate everything else. Best Agent Business helps top real estate agents grow their business and profits. We’ve helped hundreds of top agents from across the nation improve their businesses. We have provided services to top real estate agents since 2006. 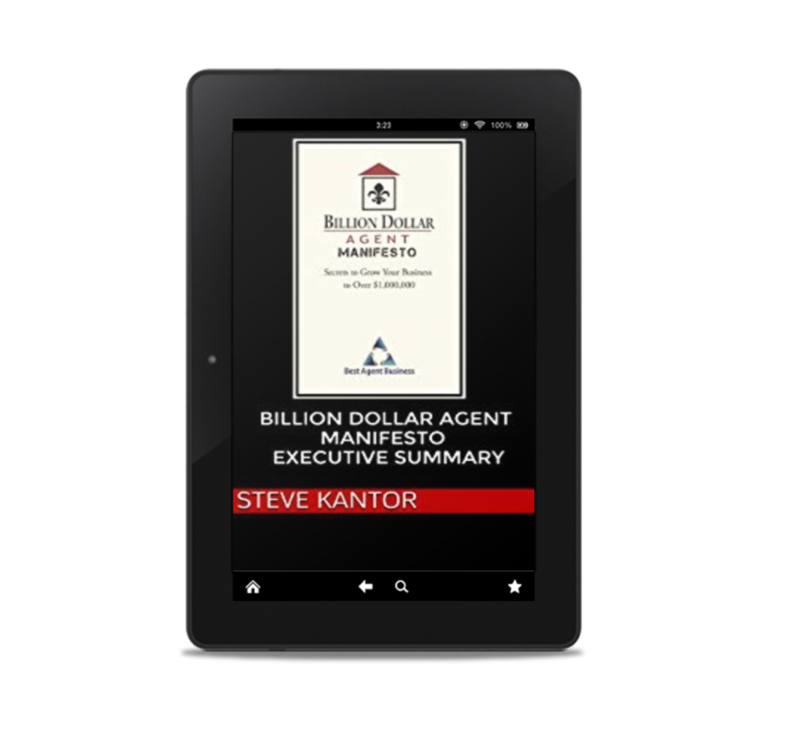 Steve Kantor, President of Best Agent Business, has authored and published over a dozen books on the subjects of business, economics, technology and life lessons. 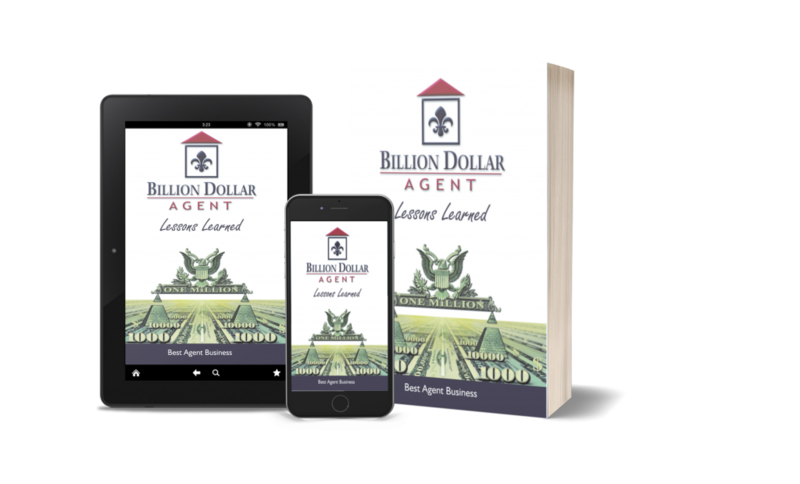 A complete list of publications is available at Billion Dollar Agent Books. Get to know Best Agent Business and Steve Kantor. Our FREE informal videos will introduce you to simple effective strategies and systems for Billion Dollar Agents. A full collection of videos is available on our Billion Dollar Agent Videos page. Real estate agents – learn to Market an Open House like a Billion Dollar Agent. Dominate expired Marketing with a 20% market share. Best Agent Business has been great! They have helped me most with organizing and building my website. I am confident that I will do more business this year because of them. Best Agent Business has provided me a way of doing things that I was not able to do before. They have provided an inside sales team, management staff, and a recruiting staff all for a low monthly cost. I just tell them what I need help with, and they adjust their efforts to help me. It is truly a blessing to know that we have people behind us that care about our business as much as we do. I use Best Agent Business to assist with mainly marketing and lead management. It’s been easy – send them a copy of our client services, and let them go. Lifebushido turn around time is 24 hours, and I am happy with the results of all of the marketing pieces they have helped me with. They are great at helping with blogging and articles for me as well. And they’ve done a great job helping us contact our current clients to ensure their information is accurate and complete. It is such a relief to work on new business knowing that our current business is being handled well by Lifebushido. Best Agent Business and their team are fantastic. They are very organized and help maximize my lead interaction. Best Agent Business contacts my leads in a timely manner and helps me manage my Boomtown lead database. This team helped me manage my time and increase my income. I highly recommend Best Agent Business. I have been a successful independent real estate agent for more than a decade. Delegating tasks was a challenge for me because I am used to doing everything on my own. Best Agent Business has taught me that in order to reach my goals and work my ideal amount of hours, I need a strong team behind me to take care of the things that eat up my time. My database is more organized, listings are running more smoothly, and I have an assistant that I can call when I need anything. I trust my team at Best Agent Business to help me run my business while I focus on selling real estate, and I have no doubt that I will be happier and more successful in work and in life. Before I used Best Agent Business, my database was in complete disarray. When I spoke with Steve, he gave me suggestions on how to best structure my database, and how to clean and purge it. He quickly put his team to work, and within weeks my database was cleaned and set up in a way that allows me to effectively communicate with my past clients. They also helped me layout effective closing and listing plans, and streamline my operation. 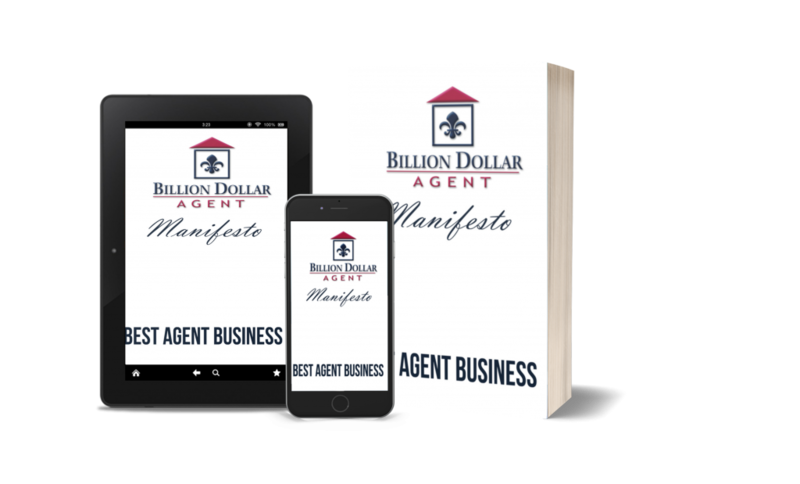 I would suggest to anyone doing the detail work themselves to allow Best Agent Business to take that over so you can work on the dollar productive work. Best Agent Business has been superb so far and has surpassed my expectations. One thing that I need is systems, and they have them! They have experts for each facet of my business: listings, database, marketing, lead management, and accounting. I thought I would need to hire two fulltime employees to do this work, and did it all myself in the past. I was leaving tons of money on the table. Best Agent Business enables me to focus on my unique talents while letting them do the rest. I plan on having my best year ever while working 30% less. Because of the way things are run at this company, I am confident this will become a reality! In my first month of working with Best Agent Business I have noticed a huge difference in our business. It is incredible the amount of workload these guys took off my shoulders. Having Best Agent Business on my team allows me to work on my business, and not in my business. Words can't express how grateful I am to have them on my team! Thanks Best Agent Business! "I was referred to Steve Kantor and Best Agent Business from my long-time coach and mentor, Matthew Ferry, with the intention of creating systems and administration independent of my participation. Matthew taught me that structure is a combination of systems, accountability, and discipline, and that Real Estate is a procedure. With Steve's help in systematizing our business, we are currently the number one RE/MAX agent in the four-state Pacific NW region, and number twenty eight nationwide. If you would like to achieve mastery in your own real estate business, I highly recommend that you connect with Steve.